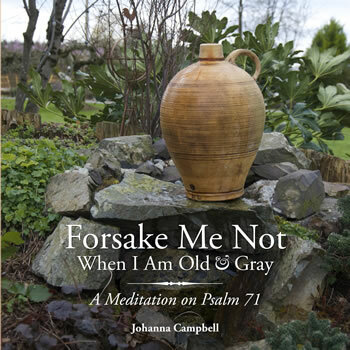 A Meditiation on Psalm 71 by Johanna Campbell DTh. This little meditation on Psalm 71 is designed to be used as a one month devotional for seniors, those who give them pastoral care or for family members who are walking through a terminal illness with one of their loved ones. A chapter is devoted to each verse of the Psalm, concluded by suggested Scripture passages which complement or are related to one of the six stanzas being examined. Interspersed are events, answers to prayer or real-life situations in the author's life that illustrate the relevant Scripture passages. The theme of the Psalm is: 'I will always have hope and praise you more and more' because the Christian's hope is Yahweh, the great I Am. May God's Holy Spirit give great hope and encouragement to seniors and their caregivers who meditate upon this psalm. Johanna Campbell, DTh., is an author, speaker and teacher who lives in Abbotsford, British Columbia. She walked with her husband throughout his eight-year journey with CBD (corticobasal degeneration, a rare neurological condition) until he crossed the finish line into glory. If you prefer to pay by Cheque, PLEASE print out the form below and include it with your cheque. For shipping to the USA and overseas: Add 50% to shipping costs. Print out and include this ORDER FORM with your payment. Use this table if your shipping address is in Canada. NOTE: Set of 10 or more: $15 ea. (CAD).